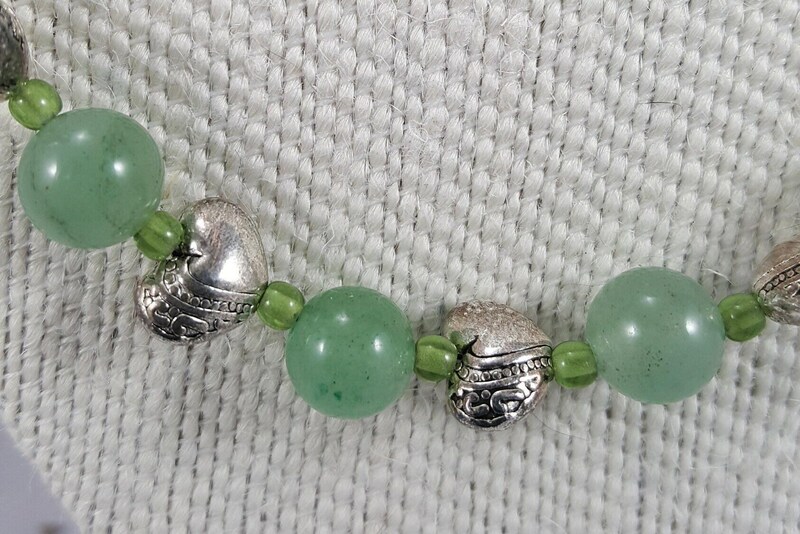 20 Emerald green Jade pearls with Tibetan silver hearts. 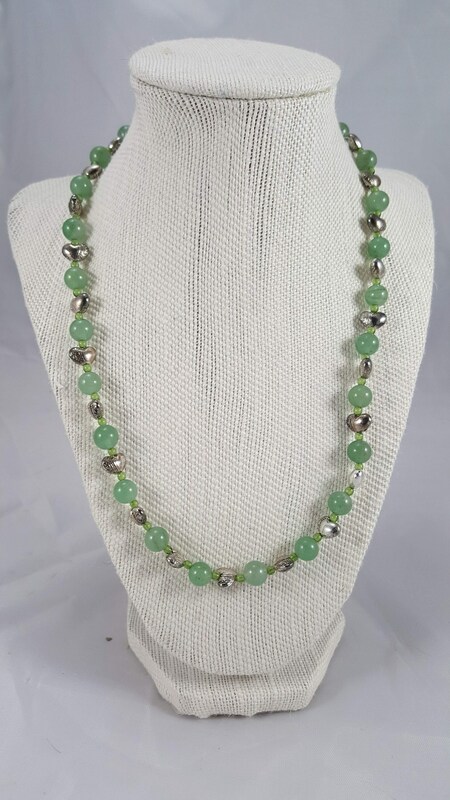 20" Emerald green Jade pearls with Tibetan silver hearts. 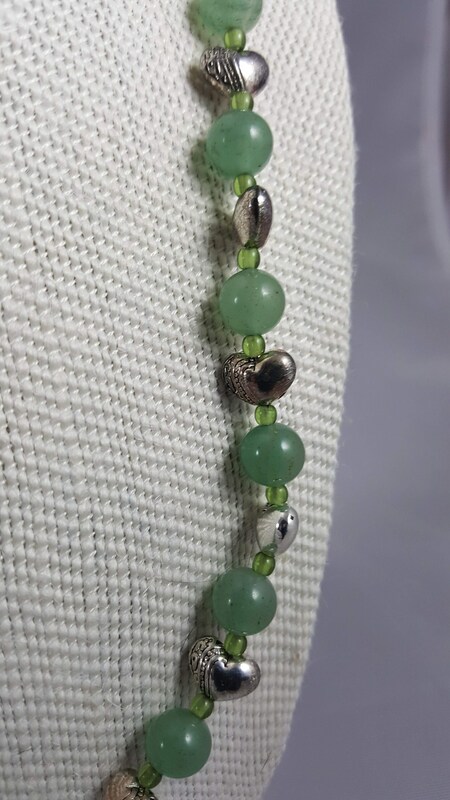 Emerald green Jade pearls with Tibetan silver plated hearts. 20" in length. 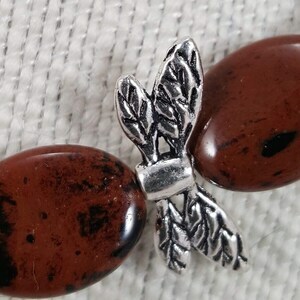 Jade is known for healing properties and feel its intense and magnetic light filling your spirit with courage, your trusted companion on any spiritual adventure. Its deep and striking variations of green resonate with the heart chakra, the energy center that helps ward off a case of the Ho Hums. Use Jade healing properties to open up your heart to unconditional love and feel the power of the universe and its life-giving combination of water mixed with the earth. 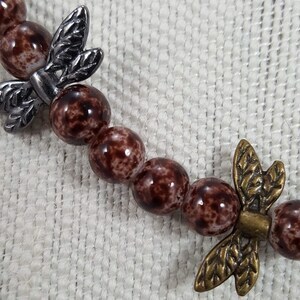 18" premium milk chocolate glass pearls with multicolored metallic dragonfly beads. 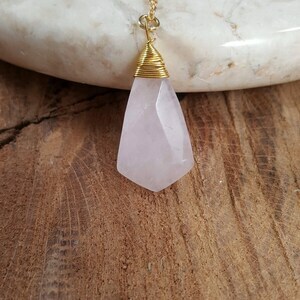 Gold Wire wrapped rose quartz pendant on a 17" gold chain necklace . 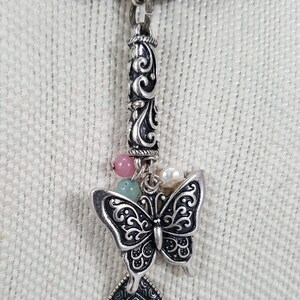 Very simple and elegant .